Busy Season is almost here and NOW is the time to stock up on Uniform basics! HMG Plus is hosting a Uniform Sale with exclusive prices for our team! 1 Dress Shirt + 1 Bow Tie: $20.00 **Receive a Complimentary Wine Key! 1 Dress Shirt + Long Tie: $24.00 **Receive Complimentary Wine Key! Come in quick before sizes sell out. 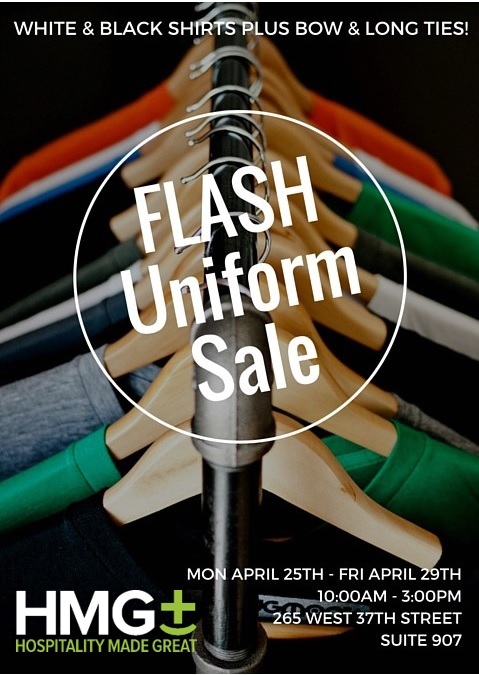 This is your chance to polish off your uniform collection for a low price!